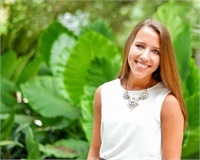 Soon after her graduation from The University of Texas at Austin, Kristen joined our team of professionals at Resource Consulting Group, Inc. in August of 2014. Kristen earned her Bachelor of Business Administration from the McCombs School of Business with a major in Finance and a concentration in Investment Management, along with a minor in Management Information Systems (MIS). Initially, her educational background is greatly assisting the firm in designing enhanced workflow processes which allow our team to handle increasing client servicing needs related to firm growth. Additionally, her blended people skills and strength in financial analytics serve her well in her role supporting our senior staff advisors in the investment research and financial planning process. Kristen is a native Texan, born and raised in Plano, Texas. On a personal level, she enjoys running, baking, architecture and spending time with friends and family. She also volunteers as a Young Life leader at McNeil High School, where she encourages students in their personal lives and spiritual growth. Kristen Niethamer is not registered with FSC Securities Corporation.